From $3,755 per adult twin share. Get a taste of South America on the wonderful 2 week tour which takes in the most well known highlights of South America. Visit Peru and the fabulous ruins of Machu Picchu, one of the “new 7 wonders of the world”. Wander around Buenos Aires, the birthplace of tango and a city of incredible charm and beauty. Experience Iguazu Falls, considered to be the most impressive in the world. Explore Rio de Janeiro and soak up the lively Brazilian culture. Arrival to Cusco, the archaeological capital of the Americas’ and home to the ancient Incan empire. Today is at leisure for you to stroll through Cusco, the cobbled streets lined with Inca stone walls, visiting the colourful markets and lively plazas. Explore the fabulous mountain-top ruins of Machu Picchu and indulge in a guided tour to allow you insights into what the magical lost city of the Incas must have looked like. Return to Cusco for the night. 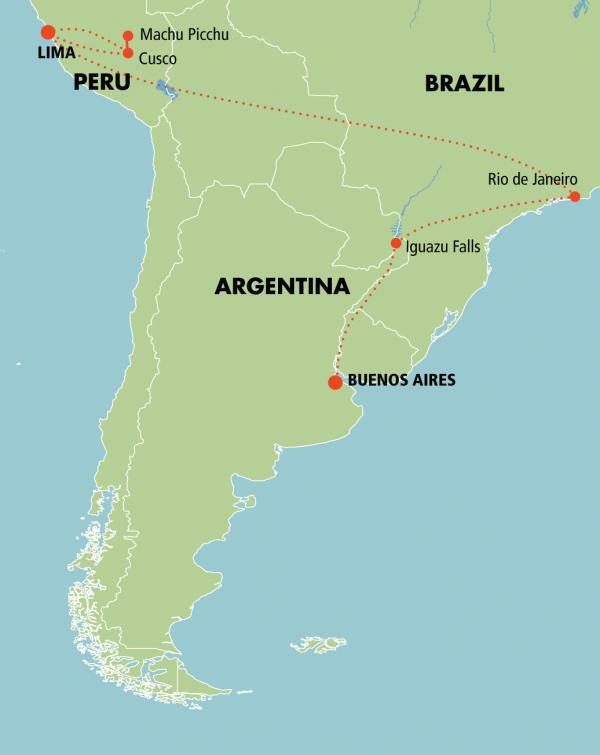 Depart this morning for your onward journey to Buenos Aires, the ‘Paris of the Americas’. Discover the highlights of Buenos Aires on a half day city tour. In the evening enjoy dinner and a tango show at one of Buenos Aires’ top tango houses. Today is a free day to explore wonderful Buenos Aires. Fly to Iguazu Falls, considered to be the most impressive in the world. Take a full day tour of the Argentinian side of the Falls. Stroll along the viewing platforms, admiring closely the imposing waterfalls which precipitate to the river below. Tour of the Brazilian side of the falls. Fly to Rio de Janeiro. This wonderful city is captivating, seductive and bustling with energy. 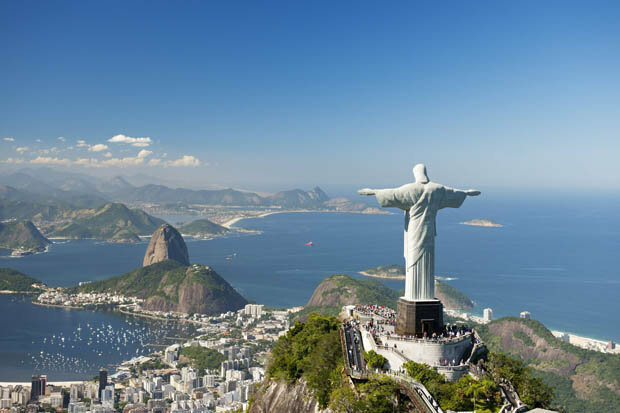 Full day tour to visit Rio’s famous Corcovado (Christ Redeemer) and Sugarloaf mountain. Enjoy the day at leisure relaxing on Copacabana Beach before your transfer to the airport. Sightseeing is as outlined in the tour itinerary. Suggested extensions include: Galapagos Islands extension, Amazon Jungle extensions, Inca Trail extension, Patagonia extension, Colonia & Montevideo extension.